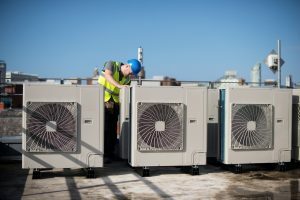 Quality Air Heating and Air Conditioning > Articles > Commercial Services > Why Are Rooftop Units Used in Commercial HVAC Systems? 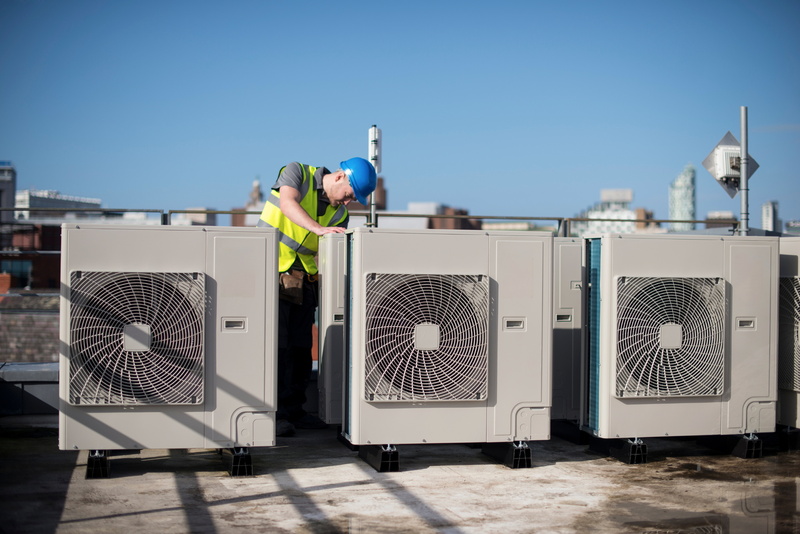 Why Are Rooftop Units Used in Commercial HVAC Systems? Commercial HVAC systems differ from residential systems in a number of ways. They need to cool more space in most cases, and many have specific cooling needs that must be met for your business to function (keeping computer systems from overheating, for example). Those needs require specialized care and attention, and you should always use an installation and repair service with experience in commercial systems to treat yours the right way. We often recommend the use of rooftop commercial HVAC systems, which consist of multiple modular units placed atop your business space. It may seem like a fool’s errand – exposing the HVAC units to our blazing hot summers and freezing cold winters – but commercial units are designed to handle such issues easily. In exchange, they offer a number of tangible benefits. The last thing your business needs is a repair technician trampling through your workspace handling a heating or air conditioning problem. Rooftop units eliminate that concern. The technician can reach them and work on them without interrupting your business, allowing you to keep moving forward while taking care of your AC or heating issue at the same time. Rooftop access also means you can move new units or other heavy equipment in and out, again without moving through the business space itself. One of the big benefits of modular units is that it allows you to increase or decrease your heating and cooling power (either to address a changing need for an existing business or to accommodate the needs of a new business taking up residence in the space). You simply install a new modular unit onto the existing system, or remove one as needed. The rooftop makes the ideal spot to do that, not only because it’s easier to add and subtract units without having to move through the business space itself. More importantly, the rooftop gives you space to expand your system to hold as many units as possible, which can be tricky inside the building where space is often at much more of a premium. Speaking of space, any office or business locale needs to make expedient use of the existing space, in order to cover storage space, workstations, showrooms and even parking for employees and customers alike. A heating and air conditioning system inside your place of business means using up some of that space unnecessarily in order to accommodate the system. The roof lets you set up the system in an unused spot of space, allowing you to store more materials, expand a showroom, give your staff more space to work, or add a couple of parking spots to help workers and customers alike come and go more easily. If you own a business or manage an office in Columbus, OH, you should look into rooftop commercial HVAC systems. 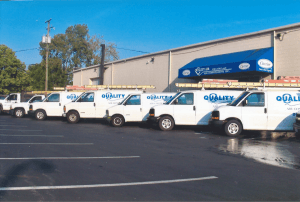 The friendly professionals at Quality Air Heating and Air Conditioning provide high-quality installation, replacement, repair and maintenance services for businesses throughout the area!